I only used these snow tires for one year on my Mustang before trading my Mustang in for a Subaru Forester. 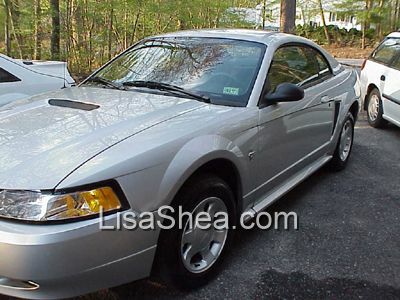 I adored my Mustang, but my teenage son had grown to the point that he literally could not fold himself to fit into the Mustang any more - and his friends heads were squashed into the ceiling (not just touching it) in the back seat. I forgot to include the snow tires when I sold the Mustang so here they are! They've been sitting in a shed since that one season and I only rolled them out to our front lawn today in preparation for them being taken. 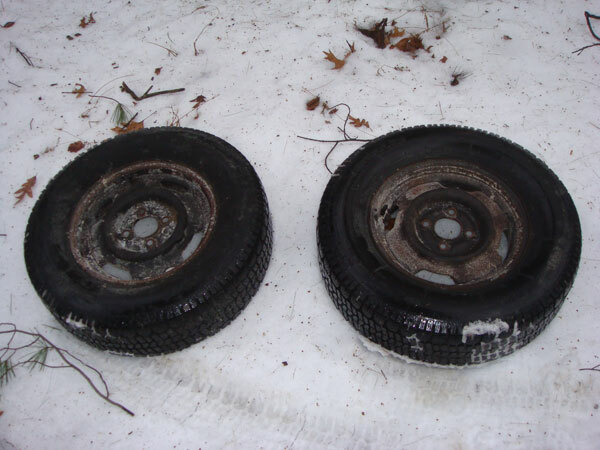 The tires are Hercules Polartrax P215 70R14 m/s 96S. Mustang Photos from Lisa's cars she's owned.